I often feel my focus is very split between my day to day activities and those lurking to-dos that require way more attention than my toddler will let me give to them. I have more to do in a day than I feel like there’s time to do it. I write reminders upon reminders. I block off time just to think. 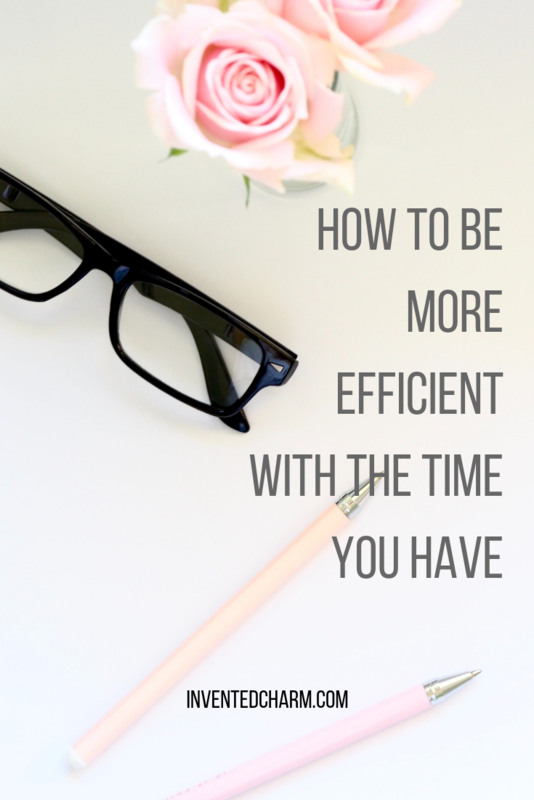 I’ve got lists about lists… It doesn’t always come together perfectly, but I’ve come up with my best ideas to be more efficient with the time you have, whether you’re scatter brained like me or if you’re just in a frazzled season of life. I received two invitations for upcoming parties, and instead of losing them like I usually do, I actually RSVPd immediately. I called and emailed the party organizers within minutes of getting the invites, wrote the dates down in my calendar, and just felt very on top of things for once. Consider if the thing you need to do is quick and if it is, just do it. Don’t put off making a decision if it’s something that can be done without much hemming and hawing. Ever since I started doing You Need A Budget, I always consult my budget before I make purchases. I had a bridal shower to attend this summer, but I knew I didn’t have enough in my July gifts budget to buy anything. On the first of August I made my new budget, put in the money I needed for a gift off of my friend’s registry, and then took action. I still purchased the gift well in advance of the shower, but I did so only after consulting my budget and my calendar. It took some impulse control not to just buy the gift immediately, and I still do advocate doing things immediately when possible, but it’s just as efficient to complete tasks on a set date. This isn’t a new concept. I’ve written about it before when I wrote about a Power Hour, which I learned about from the Happier Podcast. It’s one of my all-time favorite tips! I love to employ this tactic by grouping together tasks I dislike. I recently took a free afternoon to round up a bunch of gifts that needed to be mailed. I wrapped the items, wrote cards, packed the boxes, printed shipping labels, and dropped them off at the post office. I find it’s more efficient to do a bunch of things at once, especially if I don’t love the task. Calendar several months in advance. I recently committed to something that I had to back out of, and I feel terrible, but it was my mistake for not flipping through the pages of my calendar. I was so focused on stuff in October, that I forgot about a trip in November. To maximize efficiency, always look forward in your calendar. I find that during busy seasons, it’s most helpful to plan two to three months ahead. Update your online and paper calendars at the same time, and start to-do lists. Take a long view of things so you’re not caught off guard. I’ve been making great strides with my 2018 habit changes, but I have been struggling to find ways to treat myself. My favorite thing ever is a good ol’ Treat Yo Self day, but generally speaking, mimosas and fine leather goods are not sustainable or attainable healthy treats. 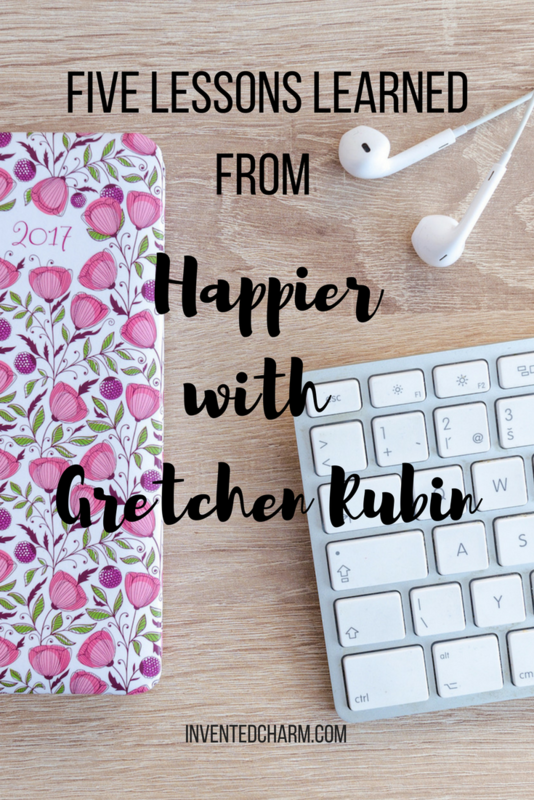 On the Happier podcast, Gretchen Rubin often talks about how using food, drink, and shopping as treats undermines the positive habits changes we are trying to make. For example, one of my big goals this year is to stick to a budget and get back to saving monthly. My partner and I even started using the You Need a Budget app to better track our spending. It’s been going great so far, but the last thing I want to do is treat myself with shopping when what I want most is to save. I think occasional planned indulgences that are food or shopping based are fine, I just want to get away from the notion that they are treats. We are all so busy with our daily lives that we may feel depleted and drained. That’s why treats are effective at staving off burn-out. 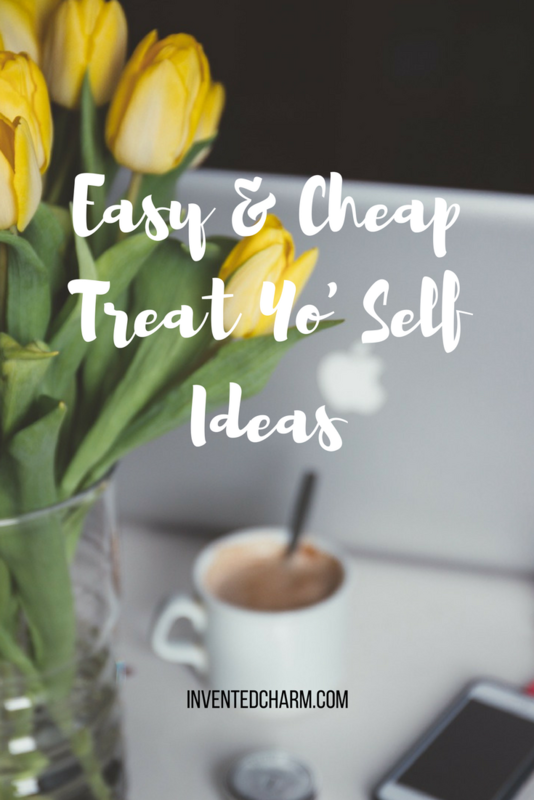 I’ve pulled together a list of experiences that are very simple, low cost or free, pleasurable treats. It’s 2018. Whoa. How’s it going for you thus far? Did you make some resolutions, pick a word of the year, or create a gratitude journal? I made a little notebook in my Notes app for 2018 goal setting, and I’ve been listening to a ton of podcasts to keep me inspired and motivated. So far I’m batting 9/10 most days. It is pretty amazing, but yet I’m totally obsessed with one of the things on my list I can’t seem to do: write everyday. Maybe it wasn’t realistic to create an all or nothing kind of goal when it comes to writing. But when I made that goal I thought I could totally do it. I did write every day in November through about December 23. So what is stopping me from having perfect 10/10 days? 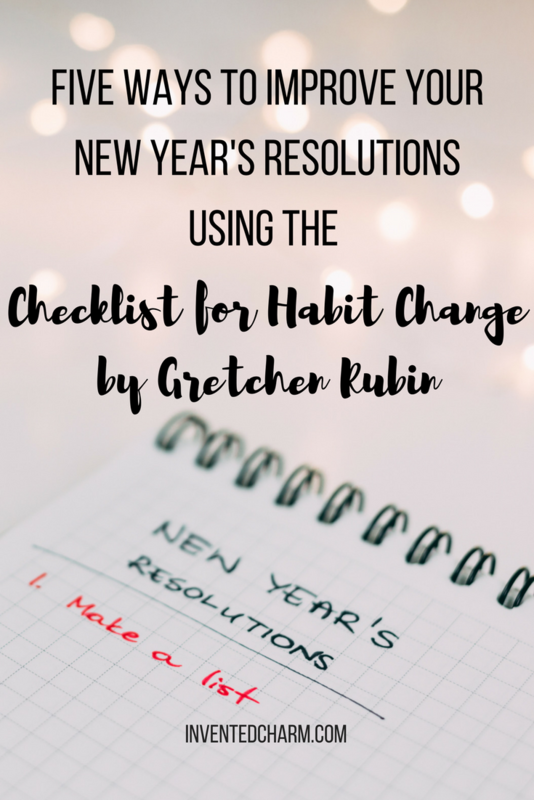 I decided to use Gretchen Rubin’s Checklist for Habit Change to pinpoint where I went wrong, and I think I figured out some areas of my goal that need improving. If you’re having a hard time getting and staying motivated about a goals/resolutions/intentions for 2018, hopefully this post will resonate with you. Regular listeners of the Happier podcast will definitely recognize these tips. I had grand plans for this holiday season. I was going to post about Designing my Winter. I had a bunch of ideas–go ice skating, watch Love Actually at our art house theater on a date night, make a gingerbread house from scratch. But it’s a week until Christmas and all I’ve managed to do is put up a tree, have a couple peppermint mochas at Starbucks, get some shopping done (and not even all of it), and get my holiday cards out. Phew. I have talked to a few friends about how stressed out I’m feeling. I’m constantly moving, working on writing, doing housework, parenting, etc. But I feel like I’m just treading water. During the holidays we have to do all our normal things, and then fold in all those extra obligations. And I have been trying, but to no avail, I can’t seem to fold in anything extra. Every year I love to bake, but this year I just haven’t gotten to it. And when I think about doing it, I spin out into a panic. I had a total meltdown about it this weekend. I cried, I thought I was a terrible friend for flaking out and bringing store bought cookies to a get together. But the store bought cookies were fine. They were actually really tasty, and my friends didn’t care. It cost me seven bucks and just a bit of my pride. Now that I can be a bit more reflective about how the first 19 days of December have gone, I will say that I think I’ve put my energy in the wrong place. Or maybe it’s not wrong, but next year I might choose differently. I have to accept that where I’m at in life means I don’t have room for everything. I want to do. I don’t want to give up a single thing, but if I don’t pick and choose carefully I’m not going to enjoy the holidays at all. 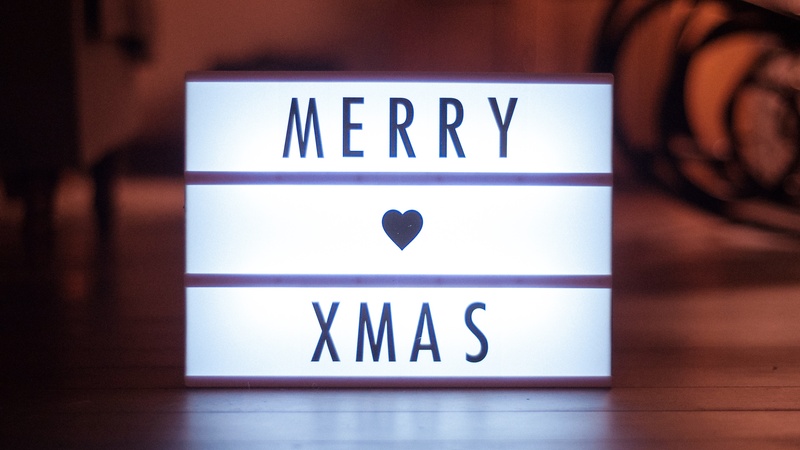 In the midst of writing this post, I got a call from a friend and we decided we aren’t exchanging gifts with each other or our families. I had been wanting to ask her that for weeks, but I never had the nerve. But I had to face facts: I’m down to the wire and I don’t want to do anymore shopping. I’m calling it. My holiday shopping is done, and sorry I’m not sorry if I crossed you off the list. 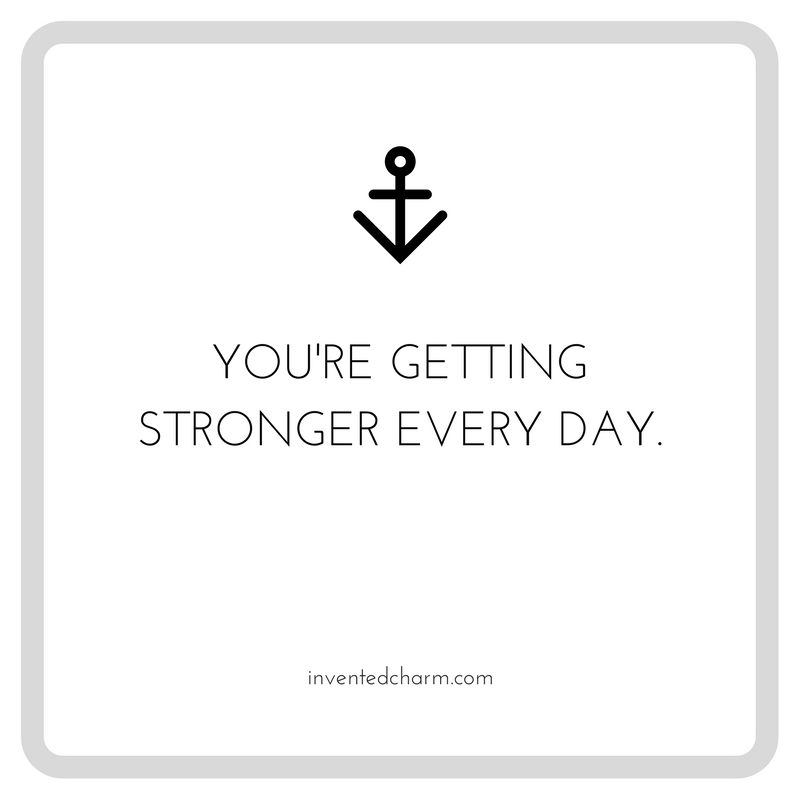 If you’re struggling, know that you’re not alone. Be gentle with yourself. Chose to do things that will bring you joy and skip everything else. Honestly, here’s my permission to skip everything if that’s what is going to bring you joy. 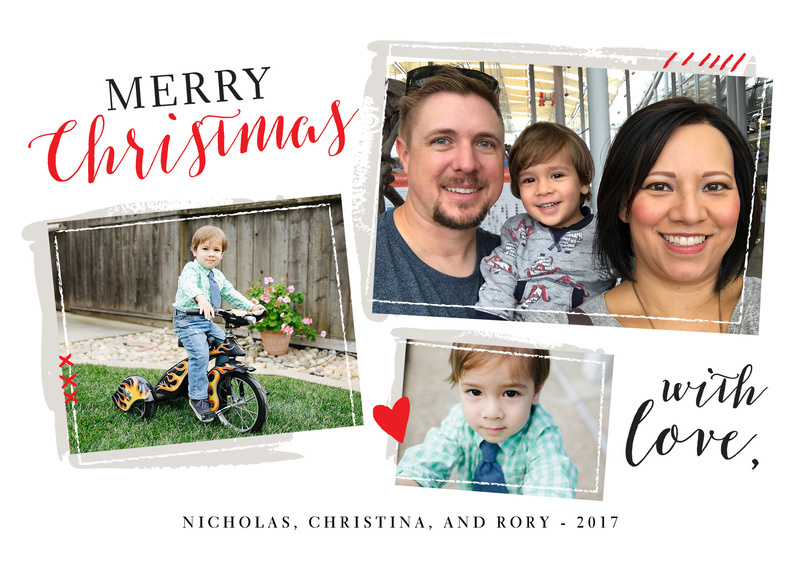 This is the first year since Rory was born that I was able to do cards, have them printed, address them, and get them in the mail BEFORE the holiday. I’ve been revisiting some of my Pins about parenting and motherhood, and one blog post really struck a nerve. Allison over at Our Small Hours wrote Tips for the Introverted Mom and I found it very useful to help me name the frustration I’ve been feeling lately. I discovered in the last few years that I am an introvert. Even though I enjoy being social, I become very worn out when I have to interact with people for extended periods of time. In my former job I got to strike a good balance of working independently and working one on one with students and colleagues. It was always those independent blocks of time that I relied on to get me through the day. I don’t get many of those alone hours now that I’m a stay at home parent. Usually I’m able to power through, but sometimes it’s a real challenge. When I feel my patience wearing thin, I say things I don’t truly mean or I speak in an irritated tone. We all have situations at home or work that can really try an introvert’s patience. 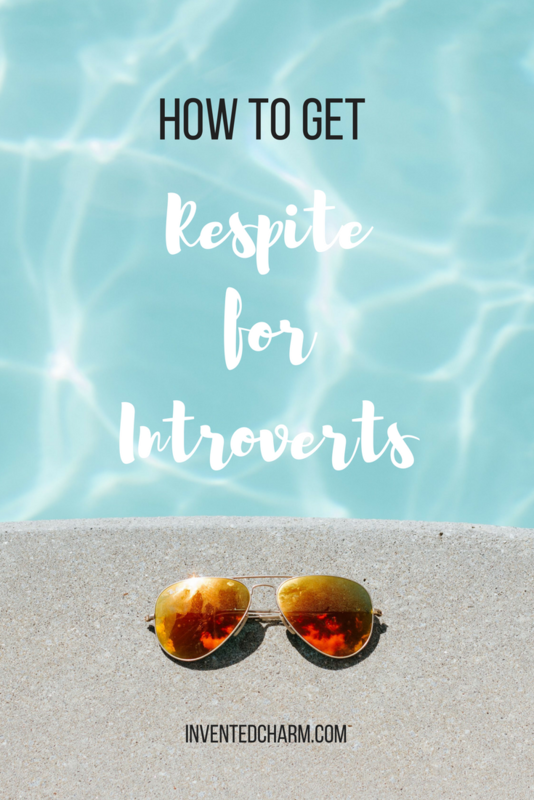 If your’e an introvert, here are some tips for finding respite. I’ve listened to many podcasts and read blog posts recently that have really struck a chord with me. Though their messages were a little different, they essentially boil down to the same thing: As busy adults we have the right to claim time for ourselves, to be unproductive and unplugged, to pursue creative talents, to dabble in a hobby, to unburden ourselves from side-hustling, and stop worrying about the state of our homes. But how do we square this with the messages about “adulting”? Whether you use the word ironically or detest it, adulting still aptly describes the way adults spend most of their waking hours—working and performing other essential responsibilities. I say most, because there are those little stolen minutes or hours that we may use doing something shameful according to society/your parents/journalists/the media/politicians/you fill in the blank. The shameful stuff I’m talking about are the unproductive hours consuming media, engaging in hobbies or skills we can’t or don’t want to monetize, performing self-care, or just generally not engaging with culture the same way previous generations did (gambling in Las Vegas, eating at chain restaurants, golf, the list goes on). 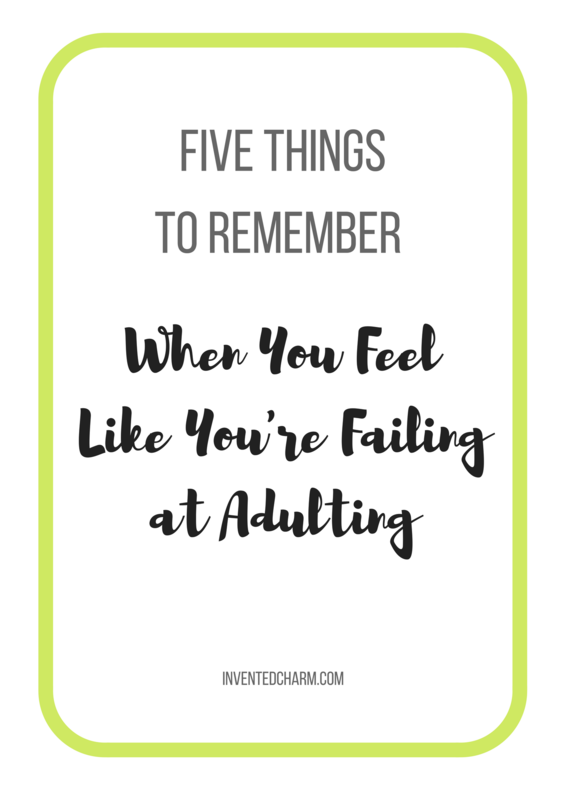 I’m not making the argument that using the term adulting means I’m looking for affirmation for being a grown up, and I don’t want to rule out my dream of being a mermaid either, but I do want to address the guilt people feel, particularly women, when they spend any amount of time not attending to their careers, family obligations, and homes—all in the domain of adulting. 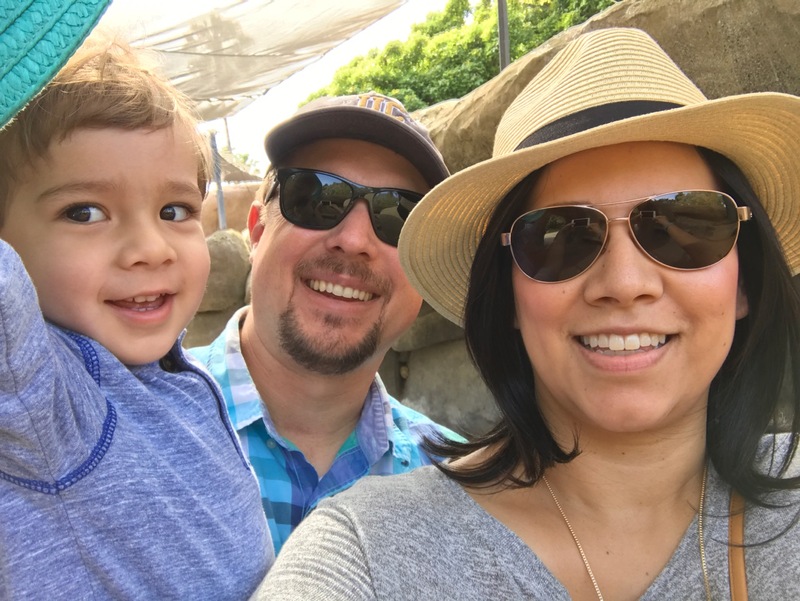 Last week we took a family trip to Santa Barbara. Nick had to do some work at his office, and we wanted a getaway and a chance to catch up with family and friends. We ate well, laughed a lot, and spent quality time with loved ones. In short, it was awesome. I want to bottle up the feeling of vacation and bring it home with me, which is why I’ve been mulling over the idea of creating a bucket list of summer activities. Vacation day at the zoo. Part of me hates the idea of committing to yet another list. I’ve been listening to the Happier podcast with Gretchen Rubin and Elizabeth Craft for a bit, and Gretchen’s idea of designing your summer really spoke to me. You can listen to her talk about it here and here. Rather than create a list of things I have to do, I’m making a plan to do some things I can’t wait to do. I meant to write in for The Mom Hour’s Mother’s Day Challenge, but like a lot of things in my life right now, I dropped the ball. I thought I’d take the opportunity to post something here.